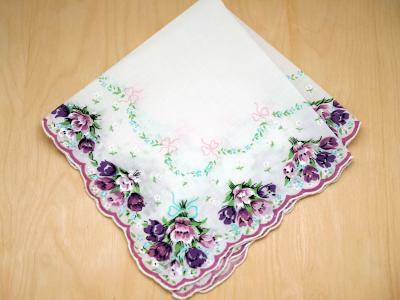 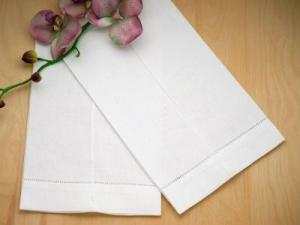 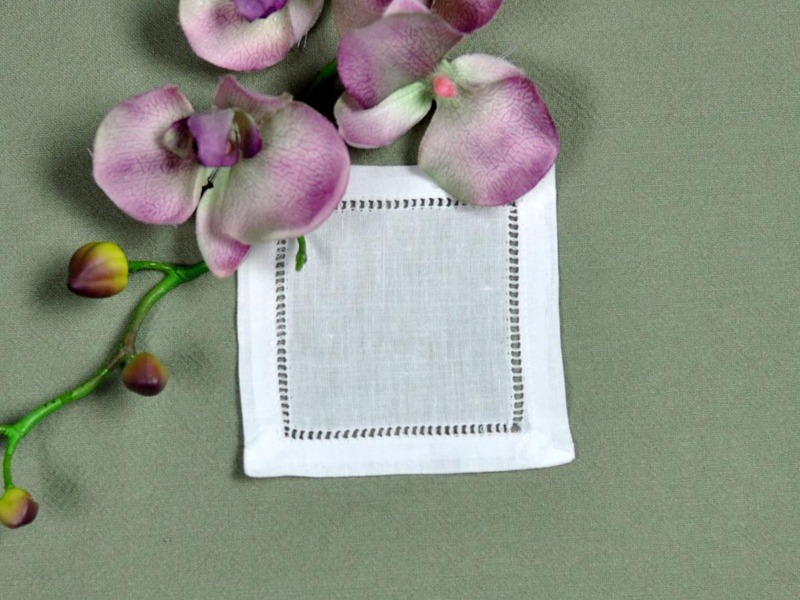 Utilizing the same intricate needlework techniques used for centuries on fine European linens, our small imported white hemstitched linen napkins are must have items when entertaining guests. 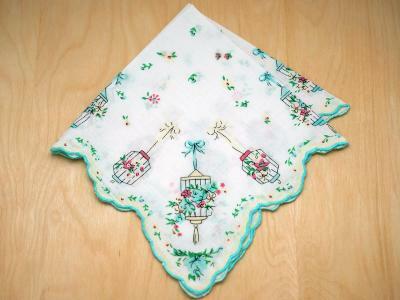 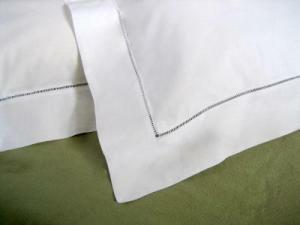 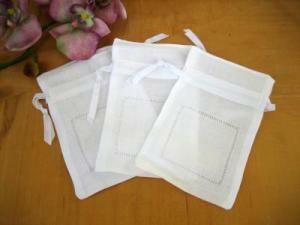 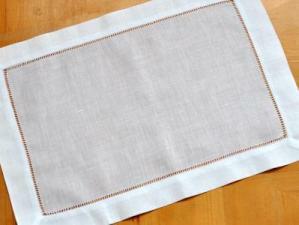 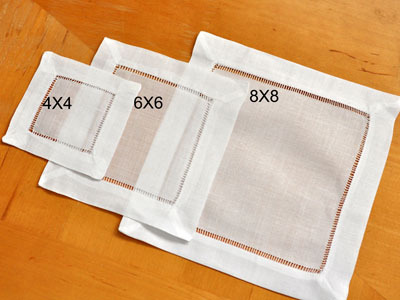 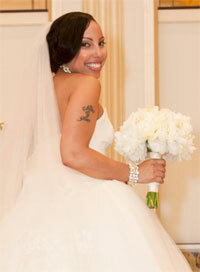 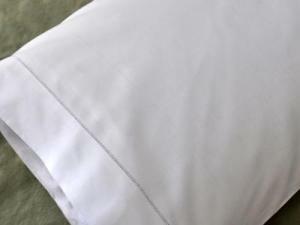 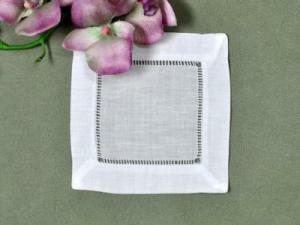 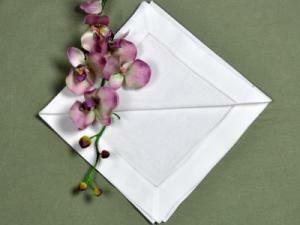 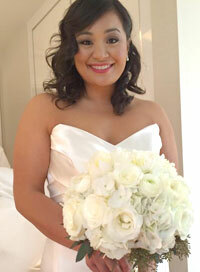 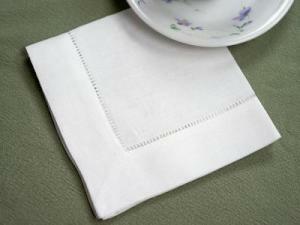 Each napkin measures 4" x 4" and is made of white linen. 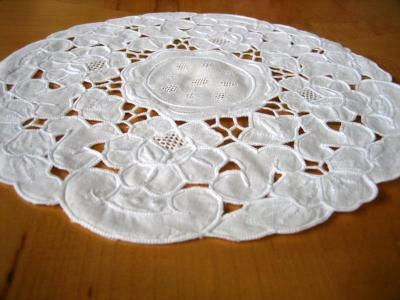 These make perfect wine coasters. 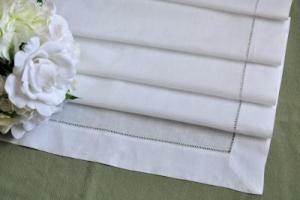 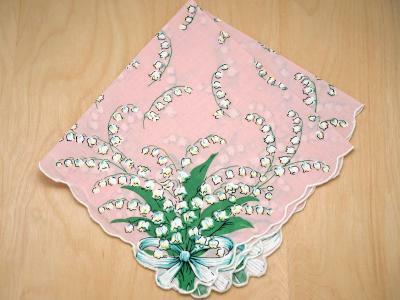 Equally suited for both casual and formal dining, our cocktail napkins exude class and will dress up any cocktail party. 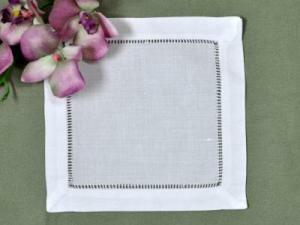 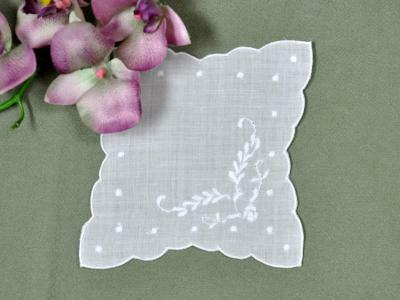 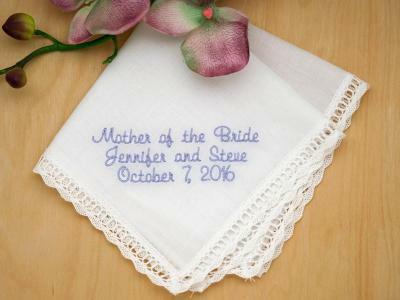 1 Dozen Small White Hemstitched Linen Cocktail Napkins 4 in Customers have rated this product	4.86 out of 5 based on 7 rating(s). 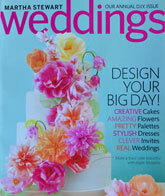 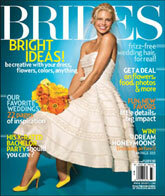 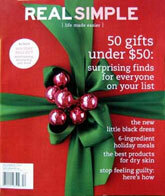 Great gifts and wonderful to have a little added touch around your home.